DARK ALCHEMY is on sale today! 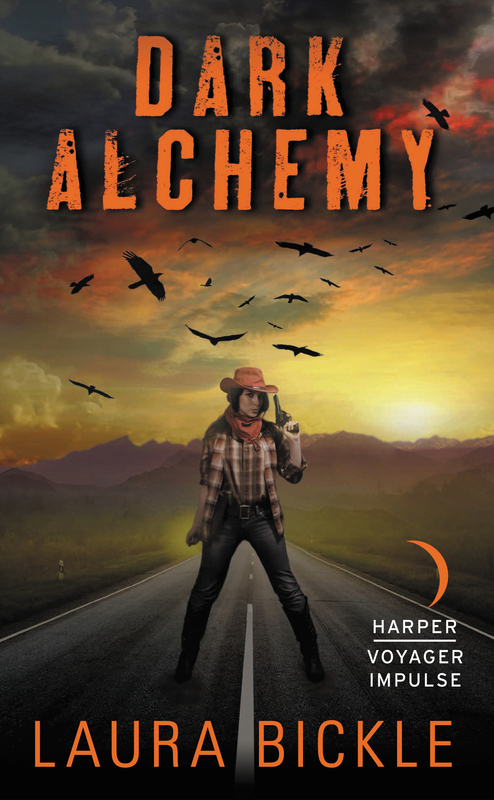 Stephen King’s The Gunslinger meets Breaking Bad in Laura Bickle’s contemporary fantasy novel Dark Alchemy. Geologist Petra Dee arrives in Wyoming seeking clues to her father’s disappearance years ago. What she finds instead is Temperance, a dying western town with a gold rush past and a meth-infested present. But under the dust and quiet, an old power is shifting. When bodies start turning up—desiccated and twisted skeletons that Petra can’t scientifically explain—her investigations land her in the middle of a covert war between the town’s most powerful interests. Petra’s father wasn’t the only one searching for the alchemical secrets of Temperance, and those still looking are now ready to kill. Armed with nothing but shaky alliances, a pair of antique guns, and a relic she doesn’t understand, the only thing Petra knows for sure is that she and her coyote sidekick are going to have to move fast—or die next.